Moody's Investors Service has upgraded the long-term issuer rating of DP World Limited (DPW) to Baa1 from Baa2. The outlook on all ratings is stable. “DP World's growing scale and geographic footprint has increased its business resilience which Moody's now sees as more appropriately reflected in the Baa1 rating,” he added. 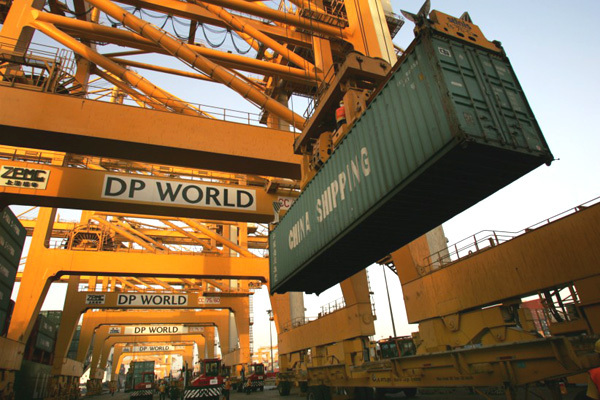 The rating action on DP World reflects its diversified global operations; the positive expected long-term growth in international container traffic; its solid profitability and liquidity profile; its expected adherence to leverage targets as proven by management's track record; and its flexibility to delay capex to support the balance sheet if needed, said a statement from Moody. The company tends to focus on origin and destination ports, which are relatively less sensitive to cyclical downturns as opposed to transshipment ports. Financial metrics are healthy, with Moody's adjusted EBITDA margin of 58.6 per cent, adjusted funds from operations (FFO) interest coverage of 5.3x and adjusted FFO/debt of 19 per cent as of 2017YE, it said. DPW's Baa1 credit rating also incorporates its strong correlation to fluctuating global trade volumes; material geographic exposure to Dubai; and significant ongoing capex and the occasional bolt-on acquisitions that temper deleveraging, although Moody's expects the company to keep internal leverage within management targets of reported net debt/ EBITDA below 4.0x. Moreover, Moody's assumes a lack of negative interference by DP World's ultimate corporate shareholder, Dubai World, it added. The risk of escalation in trade tensions between the US and its key trading partners creates significant uncertainty in global trading conditions and is a downside risk for DPW. Moody's believes the increased uncertainty will adversely impact business confidence and delay investment decisions leading to a weaker global trade outlook in H2 2018 and potentially well into 2019. DPW's direct exposure to export ports in the Far East is limited, with the Pusan Newport Company (PNC) terminal in Korea and the Saigon Premier Container Terminal (SPCT) in Vietnam the only terminals in that region which are consolidated into DPW's financials. The company is however exposed to non-consolidated minority stakes in several export terminals in Qingdao, China, from which it has received dividend income in the past. The company does not operate any port in the US and its operations in Canada comprise less than 5 per cent of the group's total container capacity. Overall, Moody's believes DPW's credit metrics will remain commensurate to a Baa1 rating even after sensitising moderate weakness in DPW's terminals that could be potentially affected by rising trade tensions. Moody's also recognises that the company's diversified operations shows that while parts of its port portfolio may face more challenging operating conditions in the near future, other parts of the portfolio may be net beneficiaries of any changes to global trade flows. Moody's base case therefore does not envision a more severe 'trade war' that results in a structural deterioration in DPW's cash flow generating ability. DPW has a strong liquidity profile underpinned by reported cash balances of $1.5 billion as of 2017YE; access to a committed $2.0 billion revolving credit facility that matures in June 2023 and was almost completely undrawn as of 2017YE; and our expectation that the company will generate around $2.0 billion of operating cash flows annually (including dividend income). Total sources will be more than sufficient to cover forecasted outflows over the next 12 months of up to $1.4 billion capital expenditures; around $350 - $380 million of dividend payments; $302 million of debt maturing in 2018; and M&A activity such as the acquisition of Drydocks World and Dubai Maritime City closed in January 2018. Over the past five years, DPW has been broadly free cash flow neutral excluding M&A activity and Moody's anticipates that this trend will continue. The stable outlook reflects our view that DPW will remain resilient over an industry cycle as a result of its broad geographic footprint and financial flexibility. The outlook assumes that the current global trade uncertainty will lead to slower growth rates for DPW over the coming 12-18 months but events will not be severe enough to lead to a material deterioration in cash flow generation. The stable outlook also assumes that DPW will not exceed or persistently maintain leverage at the upper end of its net debt to EBITDA guidance of 4.0x (on a reported basis). Upward rating pressure could result if the company establishes a track record of sustainably maintaining Moody's adjusted FFO interest coverage above 6.0x and adjusted FFO to debt above 25 per cent. In addition, evidence of the company formally committing to preserving these credit metrics through stated financial policies would be supportive of an upgrade. Given the concentration risks in Dubai, any further upward pressure would also require Moody's to assess the credit interlinkages between DP World and the domestic macroeconomic environment. Negative pressure on the rating could result from weaker liquidity management or from persistently higher leverage, with adjusted FFO interest coverage falling towards 4.5x and adjusted FFO to debt trending towards 15 per cent.